Earlier, we have seen loads of leaked images of the Nokia 9 PureView. By now we already have quite a bit of idea about what the phone is going to look like and what are its specifications. 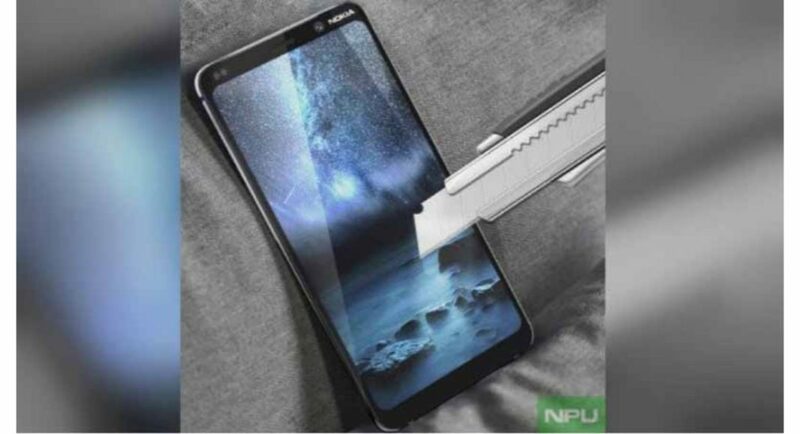 Another photo of the smartphone has been leaked and the news is that it is supposed to launch in the upcoming Mobile World Congress 2019. HMD Global has scheduled the Mobile World Congress 2019 in Barcelona and it is taking place on February 24. From what has been gathered until now, this smartphone is going to be the first device to sport six cameras in total. This comprises of one front camera and five rear cameras. The penta-camera setup at the back will bring along a LED flash and autofocus sensor. This autofocus sensor is going to help the camera to focus more quickly and properly on the subject of the photograph. The Nokia 9 PureView screen will have an aspect ratio of 18:9 with thin bezels. Also, there is a Nokia branding on the top right. Again, on the top right, there are ambient light sensors and a speaker grille in the middle. The Nokia 9 PureView is expected to be powered by Snapdragon 845 SoC. The smartphone will come with 6GB RAM coupled with an internal storage of 128GB. Connectivity options are going to include dual SIM card slots, Bluetooth, GPS and WiFi. The Nokia 9 PureView is expected to run on Android 9.0 Pie out-of-the-box and will support 18W fast charging. Recently, we got to know that the Nokia 9 PureView will come with a thick bezel on the top and a broad chin area. Talking about its operating system, the handset is going to be a part of the Android One programme that many HMD Global smartphones are a part of. However, some smartphones lack it. Take for example the Nokia 2. This smartphone is about to receive the Android Oreo update. Currently, it runs on the Android Nougat OS. Android Oreo might hamper the UI performance of this smartphone, so HMD global has advised users to stay on Android Nougat in case they want better UI performance.